Dog bites and dog attacks can be traumatic and can result in serious personal injuries. There’s no excuse for a dog owner to let their animal run out of control and attack somebody. Particular dog breeds such a pit bulls and American Staffordshire terriers have made headlines for their propensity to attack others. There have been strict laws surrounding the ownership of Pit Bulls in Ontario since around 2005. The law requires that Pit Bulls be muzzled and on a leash at all times in public in Ontario. There are serious consequences for owners that don’t follow these laws. 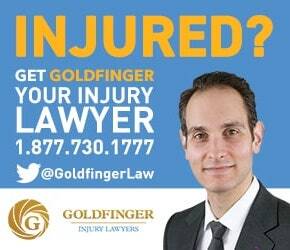 Goldfinger Law has been a leader in representing the rights for dog bite victims in Toronto, London, Peterborough and Ontario as a whole. Our dog bite personal injury cases have been reported in the National Post, Globe and Mail, Toronto Star, Toronto Sun, CBC and CP24. Brian Goldfinger is a personal injury lawyer who other lawyers turn to for advice in this field. More often than not, it’s not the dog which is at the source for the dog bite attack. It’s usually the owner’s poor training, behaviour, failure to control, or properly control or their dog. In the alternative, the dog owner may encourage the sort of aggressive behaviour which led to the dog bite or dog attack. In Ontario, the Dog Owner’s Liability Act or DOLA as it’s known establishes an absolute liability for dog attacks on the owner. 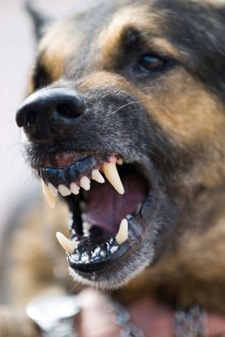 This means that if a dog attacks another person, the dog owner will be strictly liable for the actions of their dog. If you have been attacked by a dog, the first thing to do is to get the medical attention which you need. Your doctors will want to give immunizations right away to make sure that you don’t contract rabies or any other sort of infectious disease. You should also contact your local authorities for animal control to investigate the attack. You will often find that the offending animal which attacked is not a first time offender and has attacked before. Even more disturbing is the amount of repeat dog owners that own dogs that have attacked before. This just goes to show that it’s less the animal than it is the owner. Dog bites and dog attacks can result in nasty cuts, scars, soft tissue damages, broken bones and other sort of physical injuries. But sometimes, it’s the injuries we can’t see which hurt the most. Psychological trauma, depression, anxiety, stress, fear of dogs, nightmares, panic attacks and other psychological injuries are common to a victim of a serious dog bite or dog attack. Goldfinger Law will make sure you get the medical attention you need to help over come these psychological hurdles following your dog bite or dog attack. Goldfinger law understands that dog bite and dog attack cases require an understanding, caring, empathetic and compassionate lawyer to handle your case, and truly understand what you’re going through. No case is the same, and every dog bite case is important to us. No dog attack is too small. No dog attack is too big for Goldfinger Law to handle. Call today for your free consultation with one of our personal injury lawyers. Every consultation is FREE and we service dog attack victims all over Ontario. If you can’t make it to one of our three offices in Toronto, London or Peterborough, then one of our personal injury lawyers will come and see you for free. Trust the name other lawyers have trusted for years with their dog attack case. Call Goldfinger Law today. 5.0 "He was nothing short of amazing."